6013 is far from being my favorite stick welding rod...Even though it is the very first rod I ever welded with. I guess the reason is that I never saw 6013 rods on any job site I ever worked. 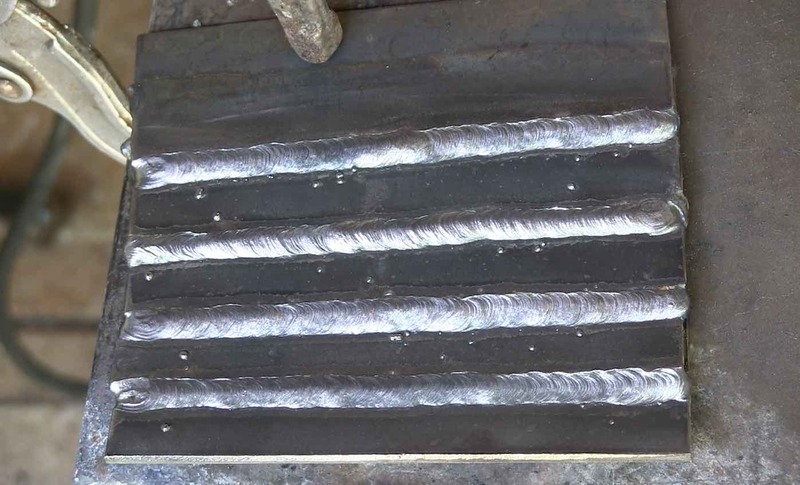 My first day of welding school had me welding flat beads using 6013 electrodes and that lasted about 2 or 3 days before I graduated to 6010, 7018, and other stick rods. After working on 5 nuclear sites, 2 paper mills, a coal fire power plant, and a couple of fab shops, I never ever saw a 6013 rod on any of those jobs. I suppose that left me with the opinion that 6013 rods were only intended for schools, barns, and not much good for anything serious. Then along came the internet and welding forums and I saw pictures of beautiful pipe welds done with 6013 over in the UK. 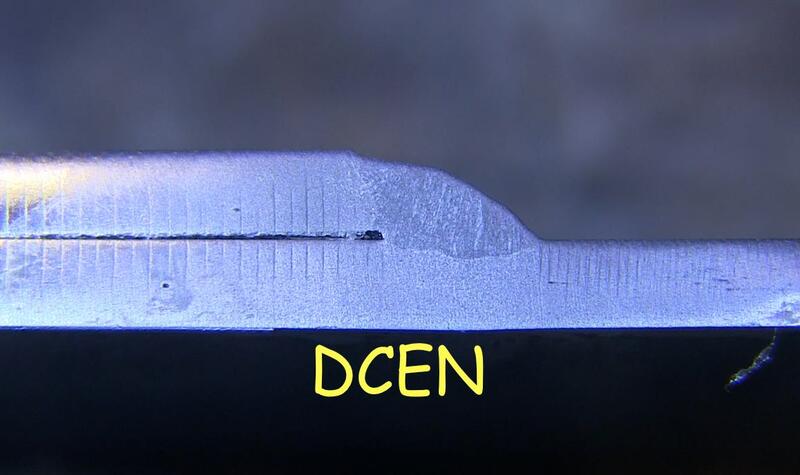 Do 6013 rods get a bad rap? or do they deserve it? I think I have been too hasty in writing off 6013 rods...and now I think I would be wise to keep and open mind and try to learn how to use them better. If welders across the pond in the UK are laying down beautiful welds using 6013 rods, then I should give them another chance. so I decided to try my hand at a few lap joints. I bought a miller thunderbolt stick welder a few years ago off craigslist for around $250 and so I thought that would be a good choice to use since it is an AC/DC stick welder and 6013 are designed to weld using any polarity. The material I used for this video was only around 1/8" (3.2mm). So after a few trial beads, I settled in at about 110 amps. The miller thunderbolt amperage dial lacks precision but I put a multimeter on it to make sure I was at 110 amps. Using around a 30 degree drag angle, and a tight arc, I was able to do a decent job and run a few decent beads. 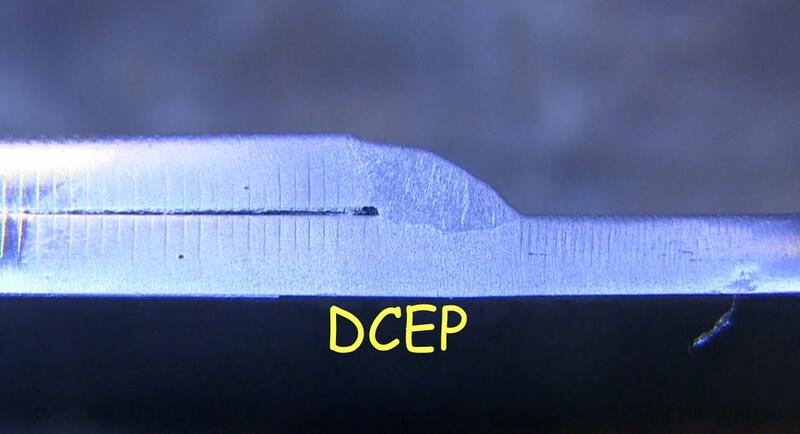 After welding beads using DCEN, DCEP, and AC, I have to say I prefer AC due to not having any arc blow issues. 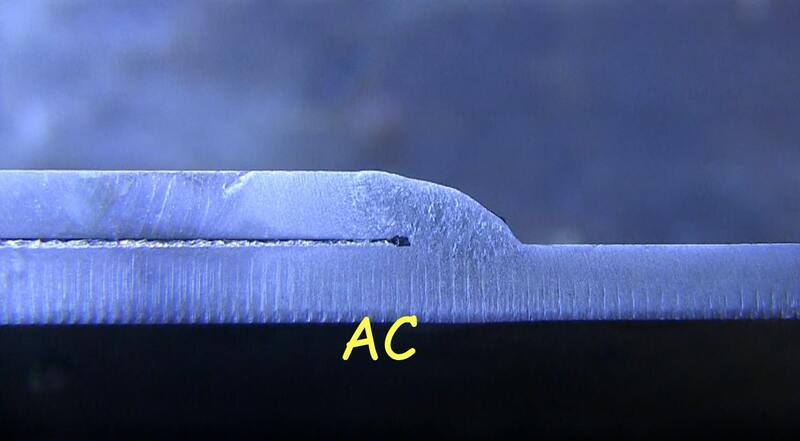 Cut and etch results were similar across the board, but the weld with AC welded the same from start to finish due to zero issues with arc blow.